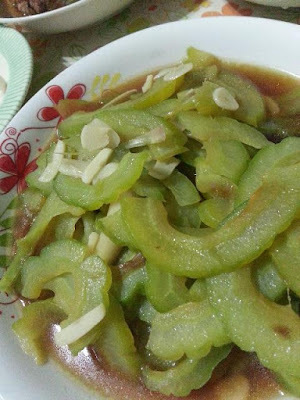 Bitter Gourd is top of my favourite dish among the vegetable-fruit, though many dislike its bitter taste but to me the bitter, the better and it possesses many health benefits. It doesn't matter how it is cooked, I like it anyway. This is home cooked plain bitter gourd with garlic. My kids simply refuse to eat bitter gourd, it is understandable that kids do not like bitter stuff. 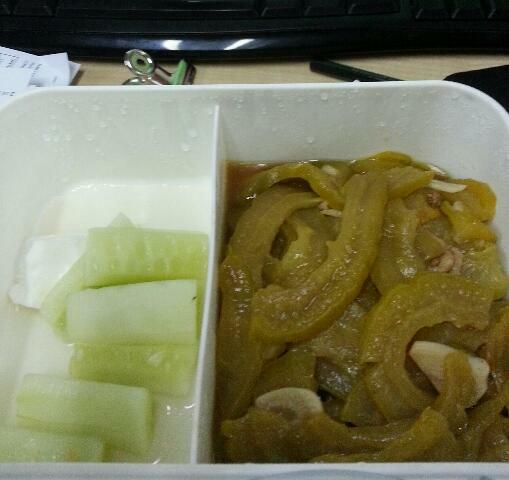 Sometimes me and my better half could not finish the whole vegetable fruit in one meal, I will keep the remaining for lunch in the office the next day. 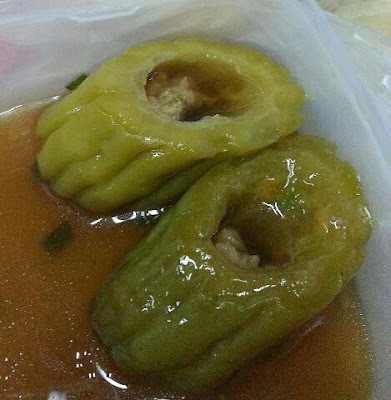 Just couldn't resist stuffed bitter gourd with minced pork every time I see them in the shop. Bitter gourd with pork and black beans, simply delicious. 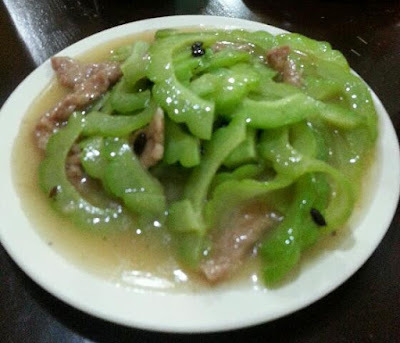 I also love bitter gourd when cooked into a variety of dishes and soups. It has very good benefits for our liver which I have been convinced. Now I also enjoy fried bitter gourd which are sold at mamak shops. No harm cooking them with brown sugar or honey just to please the kids to start eating them from young. I like bitter gourd too but it is not my favourite. Haha. I like it cook in black beans, salted egg and in soup with stuffed meat. My youngest girl loves bitter gourd pork noodles. She will only eat bitter gourd if cooked in this way.Other than that, she wont even take a bite. Weird girl!